Della Faille, Dimitri. 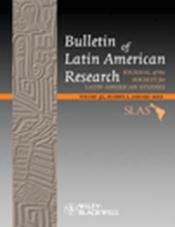 « The Problems of Mexico : An Analysis of a Sociological Discourse », Bulletin of Latin American Research, vol. 33, no. 1, 2014, pp. 60-75.